Are they out of their mind? Mocha storm pair for $850 ? thats around what they were when they came out... I guess no one told them the price tanked. Jajajajaja ja!!! To bad right now I can get about 20 pairs for that price ..
$42.50 per pair? Where is this location, Id be down for a pair at that price. Hahaha i want a pair too if with that price. 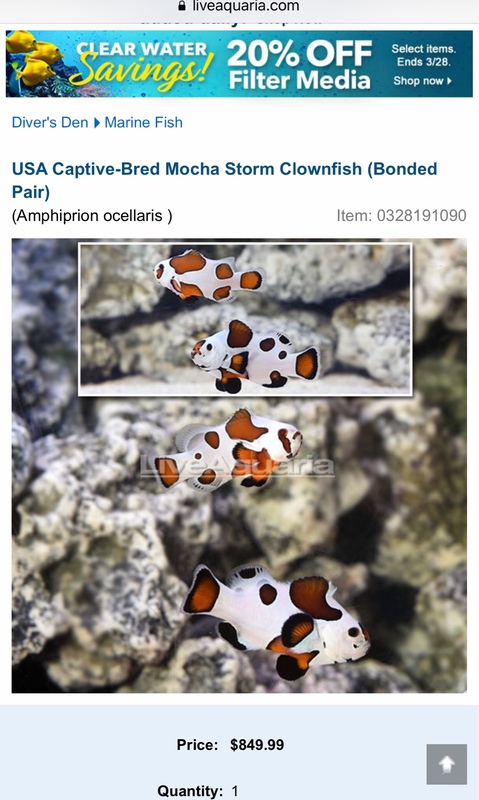 were are we headed $300 bugger size frags $850 for clowns, what's next 200 a pound designer rocks?lol but what is worse is that somebody will buythem.